I love Bunkai! Especially if its simple and effective. In this video, Sensei Michael Bock from Germany shows his favorite techniques against the two hand grab. 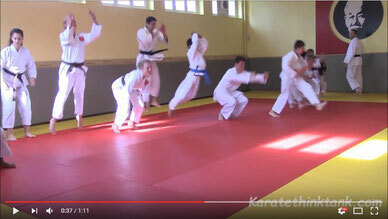 Have you checked Sensei Michael Bock's other video yet? Go watch it! If you are in a corner while sparring, there are only a few options to get out of it. 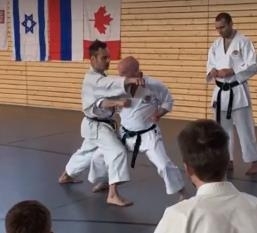 Sensei Simo Ilic from Switzerland shows his favorite technique to do in this situation. As explained in the video, try to do a quick step to the side as soon as the opponent attacks. Add an Ushiro-Keri to score a point. The most important thing to do is the sidestep before the counterattack. Any other ideas of what to do when in the corner? let me know in the comments! I still cant belive it! I missed an incredible chance! I met an incredible Sensei and real legend of the italian Karate scene and i did`t have enough time to do a proper video. 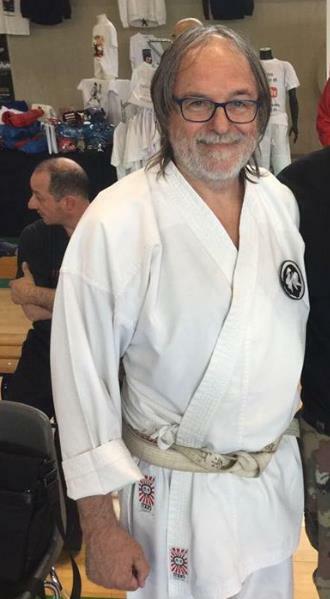 Let me introduce Shihan Claudio Artusi. 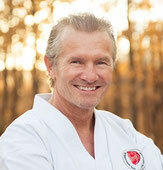 He practices martial arts since 1967 and goes every year to Japan to study with the biggest Sensei. 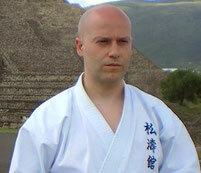 Sensei Claudio Artusi was born in Venice, Italy, 1955 and started to study Martial Arts at a very young age. He not only pactices many stiles, but he is also collects old Japanese Weapons. 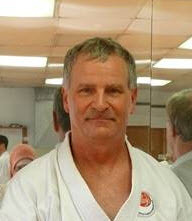 He is member of COUNTLESS martial arts organisations and also writes books and articles for tons martial arts magazines. Ever heard about Kinetic Chain? The concept of a Kinetic Chain proposes that rigid, overlapping segments are connected via joints. The movement of a joint produces or affects movements of other joints in the kinetic link. 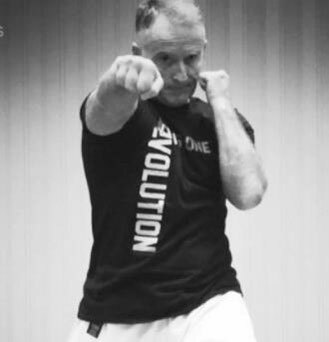 The fighting stance, also known as "kamae", can say a lot about a fighter, because almost everybody has a different stance when it comes to kumite. Certain karateka like wide stances, others close stances. Some like their arms close to the body and then there are others who don't lift their arms at all. 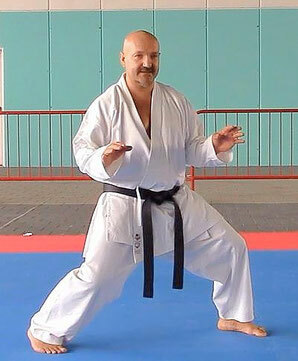 To learn more about the fighting stance, I had the pleasure to film Sensei Davide Telesca from Italy. This time I didn’t travel very far. To be honest it was a quick bicycle ride to the dojo of one of my first teachers. The Dojo is located in a basement of an apartment building in the city of Basel, Switzerland. I visit him to say hello sometimes. Every time I go there I am still amazed. There is no Tatami on the floor and you smell a mixture of sweat and incense. I can still feel the pain in my fist when I'm thinking at all the pushups my brother and I had to do in there. (Not the easy ones on the palms but always with the fists). This time I have a video that was made on request. If I would get a Swiss Franc for every time someone asks me “How do you do the jump in Unsu?” I would be as rich as Bruce Wayne. So for this occasion I invited my sparring partner and good friend Gabriele Caccialanza from Italy over. 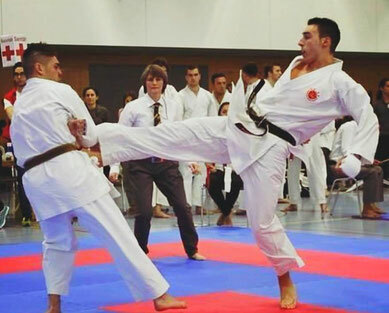 Usually I never have trouble to think of something for Kihon, Kata, Kumite or self-defense, but I have a hard time to find something interesting for warm-up. I know, there are a lot of Senseis who always do the same routine (Jumping-Jacks? Anyone?) or skip the warm-up and go directly to stretching (I hate that!). So to keep your warm-up f-f-fresh and fun I present you 3 warm up ideas. There are many Karate teachers out there that try to make you work harder to become stronger, faster and better while training. Some scream and yell at you or even call you lazy, hoping to motivate you. 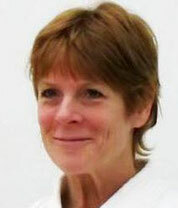 Sensei Cathy Cline is none of them. She doesn’t need to yell or scream. Somehow she is able to motivate you just in the way she explains things. It’s hard to describe it, but the energy she transmits when she teaches is incredible. When it comes to self-defense, it’s a lot harder if you are a small guy. You have a shorter range then most of your opponents and you will probably be weaker. So what can we do to overcome that gap? Let’s try it by getting closer! 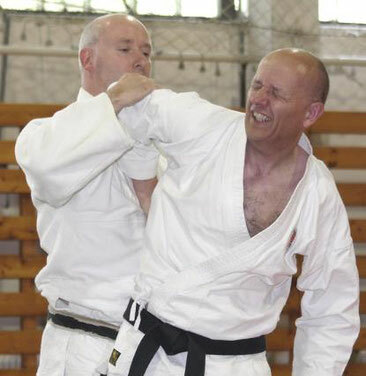 Sensei James Oberschlacke still knows how to be quicker than younger and faster Karateka. Every time he explains something, I am totally absorbed. Why? Maybe I discovered how he does it! In my opinion it is the way he approaches teaching in general. 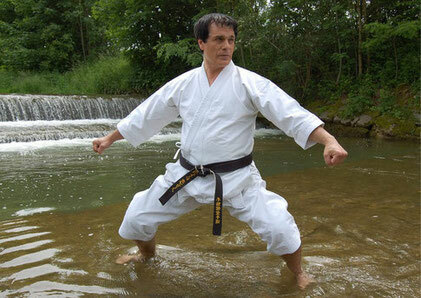 Sensei Rubén Cernuda shows and explains different ways to use the hips in Shotokan Karate. Watch his whip-like movement closely! True Masters need only one hand. With Michael Bock. We all want to be like James Bond. Right? Being able to fly helicopters, tanks, motorcycles, boats and jet planes. Travel around the world, shooting like a cowboy and save the day by punching criminals. Sounds impossible? Well... Sensei Michael Bock gets close to that. From time to time you just meet karateka that are special. Not just the way they move but also the way they behave is quite unique. 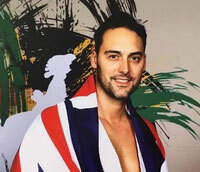 Xavier Boulanger from England is one of them. Back in 2013 I attended my first ISKF Master Camp in Philadelphia. After a lot of training and getting used to sleep with my snoring cabin-members, I visited a lecture on Monday evening. 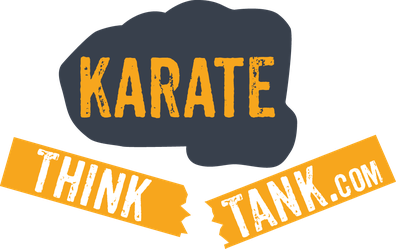 If I remember well, it was called “Difference between sport karate and traditional Karate-do. 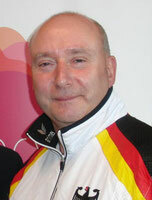 Lecture by sensei David Jones”.